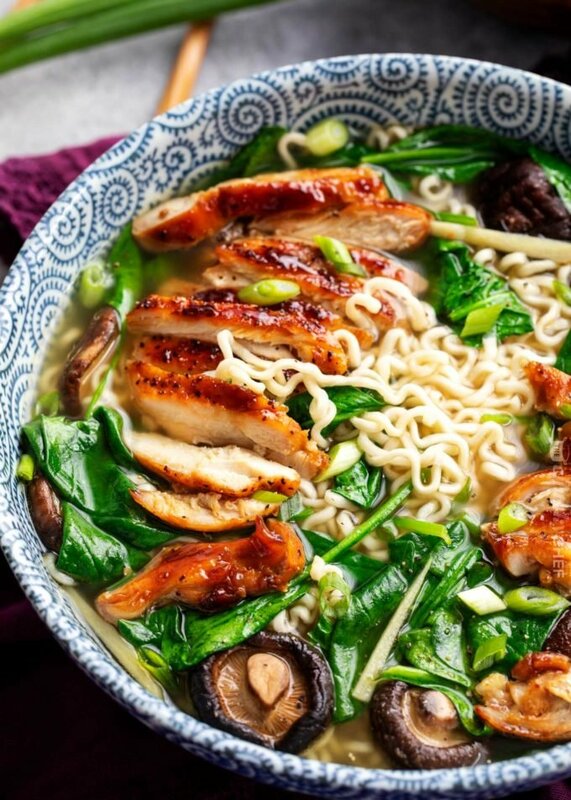 Savory and sweet chicken thighs are glazed and added to a rich broth with shiitake mushrooms, spinach, and classic ramen noodles! This bowl of pure comfort food may not be ready in 2-3 minutes like the infamous college food, but it’s ready in about 30 minutes and tastes unbelievably amazing! Did y’all get hit with some major snow this weekend? 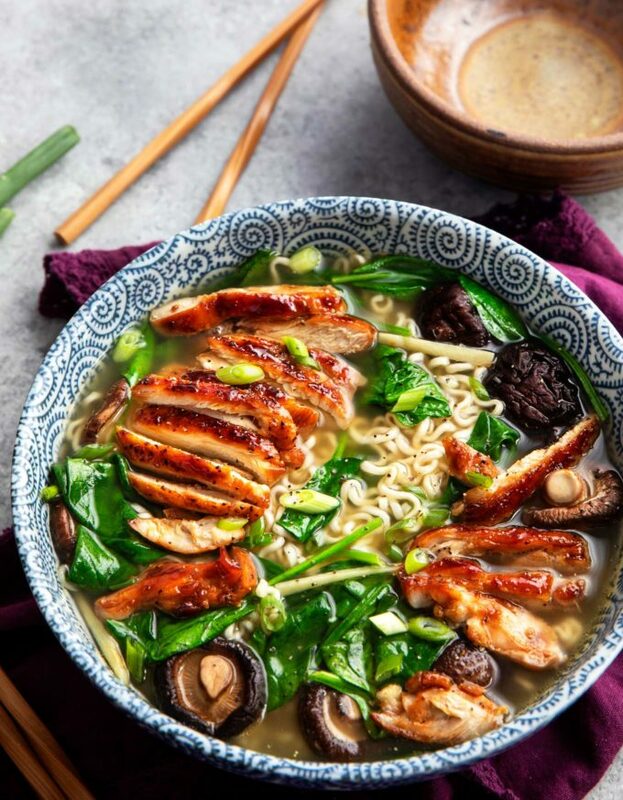 We got about 9-10″ here in Ohio, and that cold weather had me seriously jonesing for a big bowl of warm comfort food, like this Ginger Glazed Chicken Ramen! Admittedly, this is the first ramen recipe I’ve developed, and I know it’s not authentic, but it’s quick, easy, and delicious! HOW DO YOU MAKE AN EASY RAMEN BROTH? There are a few different types of ramen broths, some which require simmering it for 10-12 hours! 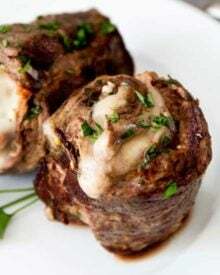 While that is delicious, I wanted to share a recipe that you can have ready in about 30 minutes, as that’s more conducive to the time that most people have to prepare dinner. 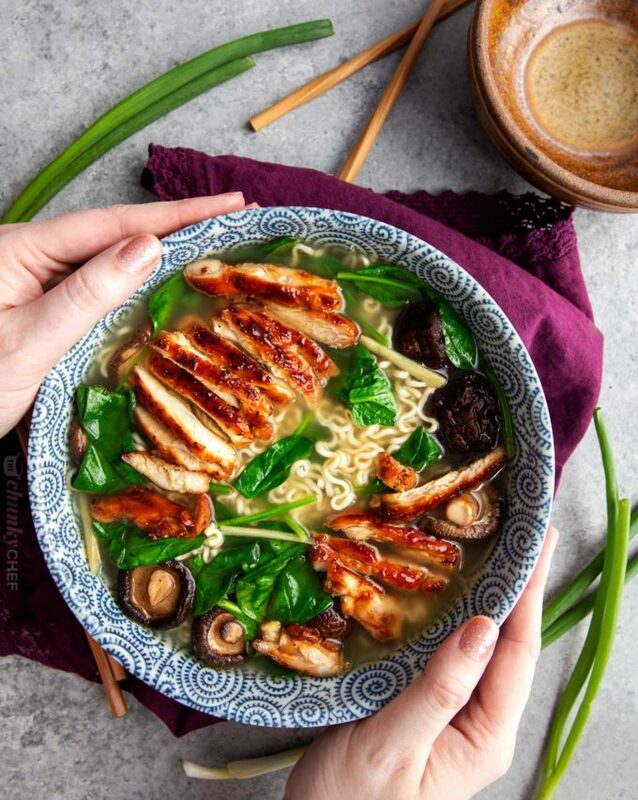 For my ramen broth, I use store-bought chicken broth, and simmer it with ginger, garlic, green onions, red pepper flakes, lemongrass, soy sauce and mirin. Once it simmers about 15-20 minutes, I strain it to remove all the solids and place it back on the stovetop and add the mushrooms until they’re soft, about 5 minutes. CAN THE RAMEN BROTH BE MADE AHEAD OF TIME? Absolutely! 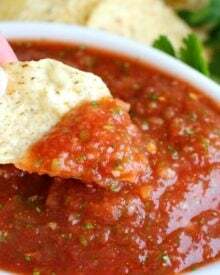 I love to make a big batch, then keep some on hand all week long, or you can even freeze it. You’ll still have to heat the broth back up, but making the broth ahead saves you quite a bit of time. 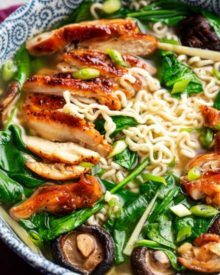 WHAT TYPE OF NOODLES DO YOU USE FOR RAMEN? There are a variety of ramen noodles available in most large grocery stores. I’ve linked to a few varieties towards the end of the post so you can see the different types. 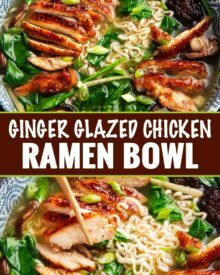 For this recipe I used what most people think of when they think “ramen”, which are the “top ramen” packs of dried wavy noodles that come with a seasoning packet and are about 10 cents per pack. I discard the packet and just use the noodles though! You can also buy straight ramen noodles which look similar to spaghetti, which I used in this Sesame Garlic Beef Stir Fry. WHAT ABOUT THE TOPPINGS FOR RAMEN? HOW DO YOU MAKE A RAMEN EGG? I’ve honestly never made one, but totally plan to SOON. So I’ll defer to my friend Dini from The Flavor Bender, as she has a whole post on making some knock-your-socks-off ramen eggs. 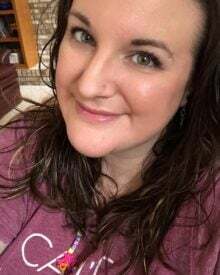 Definitely check her post out! Don’t be intimidated. Ramen is easy to make, and easy to customize as you like it. Make the broth ahead if you can, as this will save you more time and you’ll be multi-tasking less when making the actual ramen. No need to buy fancy noodles, regular instant ramen will work, just remember to discard the seasoning packet! Not a fan of chicken thighs? No worries, thin cut chicken breasts will work just as well. The glaze for the chicken will also work well for pork, beef and shrimp! Play around with the toppings… ramen is great for melding textures and flavors. Organic Ramen Noodles – the straight “spaghetti-like” ramen I mentioned. Instant Ramen Noodles – I guarantee your grocery store has these way cheaper, I just wanted to make sure you knew which ones I was talking about. 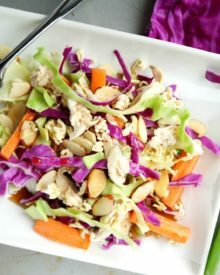 Light Soy Sauce – the flavor of this soy sauce is SO much better than soy sauces from large grocery stores. 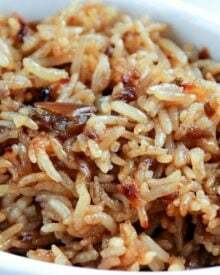 Dark Soy Sauce – amazingly rich and powerful, this dark soy sauce brings recipes one step closer to being authentic. Sesame Oil – my favorite sesame oil! Aji-Mirin – not authentic mirin, but the flavor is very similar and this is easily found in grocery stores. Add all ramen broth ingredients to a large dutch oven or stockpot. Bring to a boil, then reduce heat to MED/MED-LOW and simmer 15-20 minutes. While broth is simmering, season chicken thighs with black pepper. Heat vegetable oil in a skillet over MED-HIGH heat, and cook chicken thighs, 4-5 minutes per side, until golden brown. Whisk together remaining glazed chicken ingredients (light soy sauce, dark soy sauce, brown sugar, ginger and garlic), then pour over chicken thighs in skillet. Cook mixture down until syrupy and thick, turning chicken occasionally to glaze on both sides. This usually takes about 5 minutes, but will depend on your stove. Remove chicken thighs to a cutting board to rest a few minutes, then slice thinly. Once ramen broth is done simmering, place a very large mixing bowl in your sink and add a colander to that. Pour broth over the colander, straining the solids from your broth. Add pot back to the stove and carefully pour the broth from the mixing bowl back into the pot. Add mushrooms and cook for 2-3 minutes over MED heat. Add spinach and sesame oil and cook another 3 minutes. Add water to another pot and boil ramen noodles 1 minute less than the package directions specify. Drain, and divide among 4 bowls. 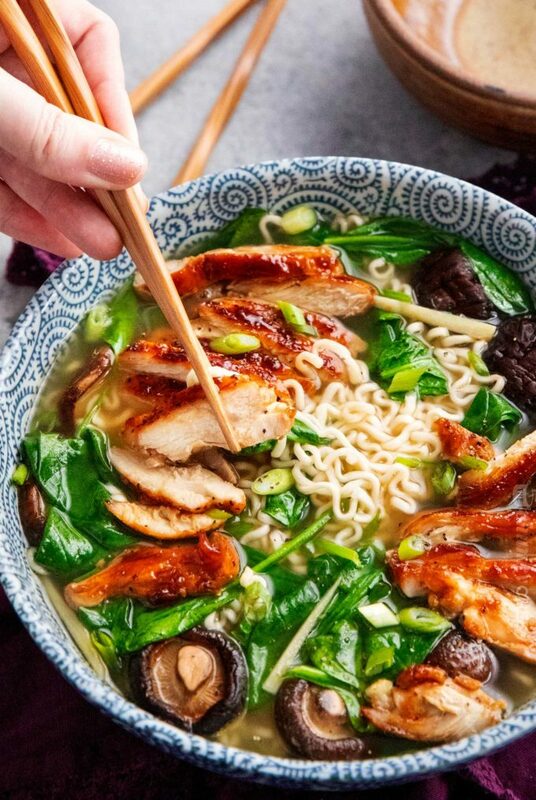 Top bowls with the hot ramen broth with mushrooms and spinach, then top with sliced chicken and green onions. Add any additional toppings you'd like and serve hot. ** To save stovetop space, chicken thighs can be broiled. 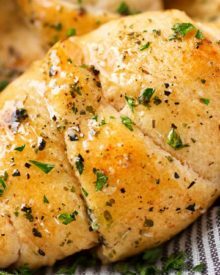 Add chicken thighs seasoned with pepper to a rimmed baking sheet lined with several layers of aluminum foil (easy cleanup). Broil on HIGH about 3-4 minutes per side, then add soy sauce/brown sugar/ginger/garlic mixture. Broil another 3 minutes per side, or until sticky and glazed. ** If using dried shiitake mushrooms, add to the ramen broth in step 1 and simmer the full 20 minutes. After straining, pick out the mushrooms and add them back to the broth. Just made this and it was a total hit. My husband said its better than ramen from a restaurant. I had to use somen noodles because our grocery store didn’t have ramen but I don’t think it made a huge difference. Thank you for this one! Exotic dish! Oh my gosh this looks so good! Going to try it this week! I love it! Looks really flavorful! 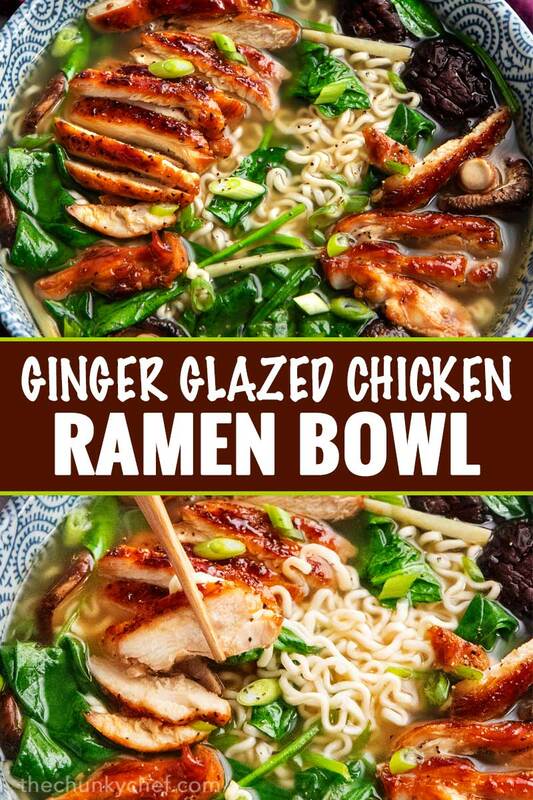 This chicken ramen looks incredible! I need to make it soon! 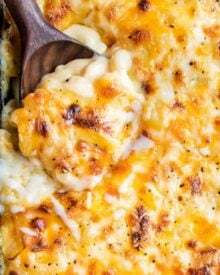 I’ve been stuck at home with sick kiddos, and this comforting meal is just what we needed. So tasty! 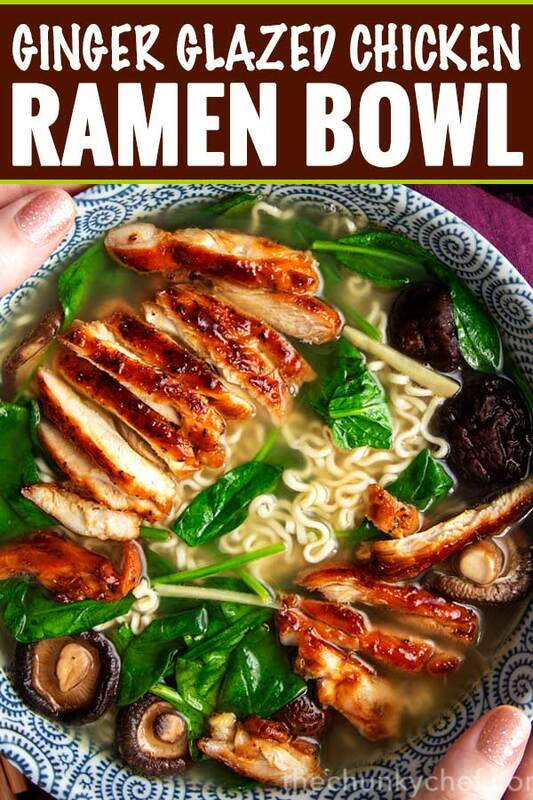 I’m all for a quick and easy ramen broth. This looks fantastic!!!! Oh my goodness, this look absolutely sensational! 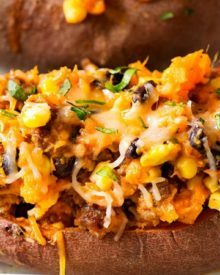 I’d love to try this, so tasty and flavorful! We love ramen bowls especially my kids! I think the noodles make it a great way to to introduce new flavors while still giving them something they love and are used to.